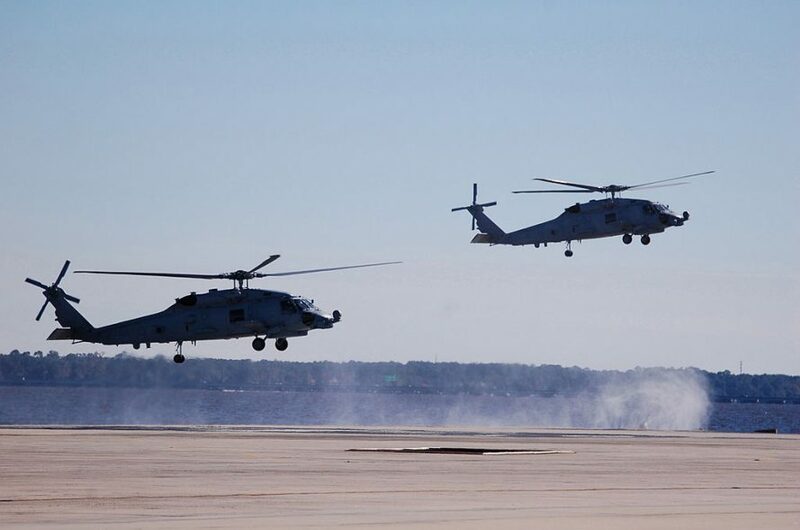 The Government of India has requested to buy 24 MH-60R Multi-Mission helicopters, equipped with the following: 30 APS-153(V) Multi-Mode radars (24 installed, 6 spares); 60 T700-GE-401C engines (48 installed and 12 spares); 24 Airborne Low Frequency System (ALFS) (20 installed, 4 spares); 30 AN/AAS-44C(V) Multi-Spectral Targeting System (24 installed, 6 spares); 54 Embedded Global Positioning System/Inertial Navigation Systems (EGI) with Selective Availability/Anti-Spoofing Module (SAASM) (48 installed, 6 spares); one thousand (1,000) AN/SSQ-36/53/62 sonobuoys; 10 AGM-114 Hellfire missiles; 5 AGM-114 M36-E9 Captive Air Training Missiles (CATM); 4 AGM-114Q Hellfire Training missiles; 38 Advanced Precision Kill Weapons System (APKWS) rockets; thirty MK 54 torpedoes; 12 M-240D Crew Served guns; 12 GAU-21 Crew Served guns; 2 Naval Strike Missile Emulators; 4 Naval Strike Missile Captive Inert Training missiles; one MH-60B/R Excess Defense Article (EDA) USN legacy aircraft. Also included are seventy AN/AVS-9 Night Vision Devices; fifty-four AN/ARC-210 RT-1990A(C) radios with COMSEC (48 installed, 6 spares); thirty AN/ARC-220 High Frequency radios (24 installed, 6 spares); 30 AN/APX-123 Identification Friend or Foe (IFF) transponders (24 installed, 6 spares); spare engine containers; facilities study, design, and construction; spare and repair parts; support and test equipment; communication equipment; ferry support; publications and technical documentation; personnel training and training equipment; U.S. Government and contractor engineering, technical and logistics support services; and other related elements of logistical and program support. The total estimated cost is $2.6 billion.